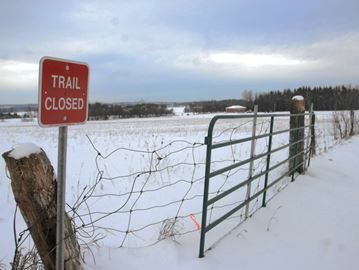 This snowmobile trail on Yonge Street just north of Innisfil Beach Road is closed this winter. The inability to cross Highway 400 because the McKay Road bridge is under construction has necessitated the closure of trails west of Yonge Street in Innisfil. Snowmobilers love the generous dumping of white stuff so early in the season this winter. In fact, this year there are less than half of the 85 kilometres of Ontario Federation of Snowmobilers sanctioned trails than there were in South Simcoe last year. John Goodfellow, a longtime volunteer with the Bonsecour Snowmobile Club, says it’s a situation that is frustrating many snowmobilers. “We are down to about 35 kilometres this year. Some of them are quite understanding, but others are, ‘Oh, why can’t you go here and why can’t you go there?’” Goodfellow said as he surveyed a trail near Stroud that is now off limits. 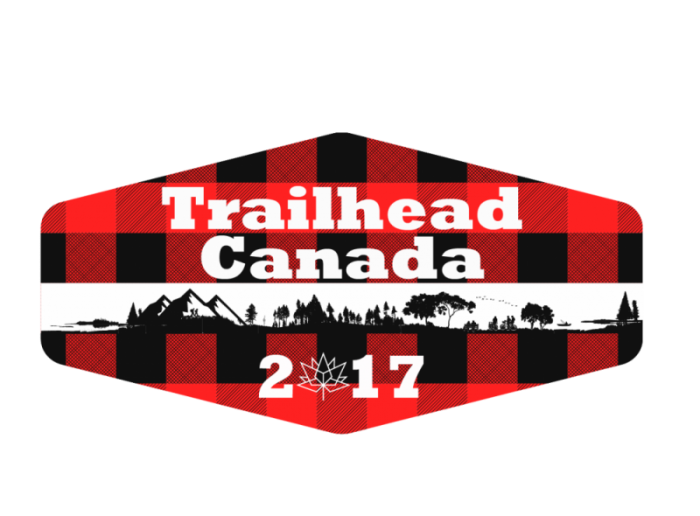 The trail closures are caused by events that are out of the club’s control, the founding president and 42-year member said. 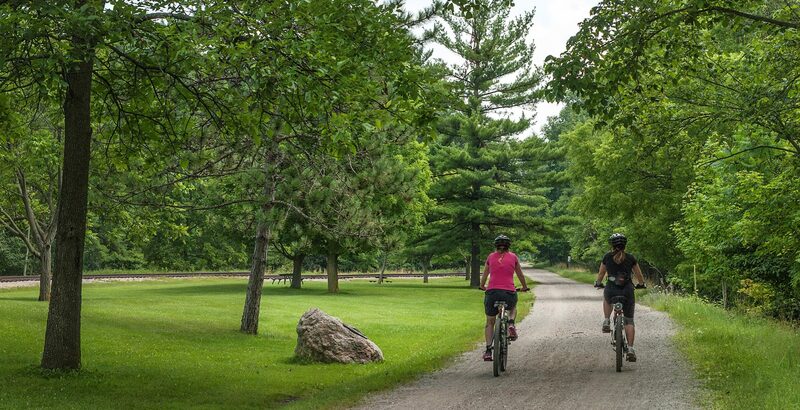 Road construction, urban development and wary landowners spooked by Ontario’s new Trails Act are the main culprits. The reconstruction of the McKay Road bridge over Highway 400 has created an insurmountable roadblock this winter for snowmobilers who want to cross from Innisfil into south Barrie and Essa and then farther north. The bridge closure has meant closing trails near Stroud between Yonge Street and Highway 400. The club considered crossing on Line 6 underneath Highway 400, but was faced with landowners who wouldn’t permit trails on their property. Goodfellow has been negotiating with landowners for trail access for 40 years. But this year was made especially difficult when the province introduced the Ontario Trails Act last spring. Initially, landowners who had trails on their properties for several years were told they would become part of a permanent easement. But outraged property owners pushed back, convincing the Liberal government only to allow easements with landowners’ permission. With more farmland being purchased by developers, Goodfellow has found himself dealing with more corporate landowners. He said the process is much slower and answers aren’t as readily available as with private landowners. “I started working on getting a piece of land to the south, and it’s been six weeks now waiting for an answer,” Goodfellow said. More than ever, the key to the north and more trails remains Lake Simcoe. But, like ice fishers, snowmobilers must await the safety of thick ice before they go that route.